Browse our publications to find out more about us and our work. Our reports, guides and other documents will help keep you informed about New Zealand Red Cross. This guide aims to familiarise MPs and government officials with the Red Cross Red Crescent Movement. Our strategic documents outline our long-term direction and vision. 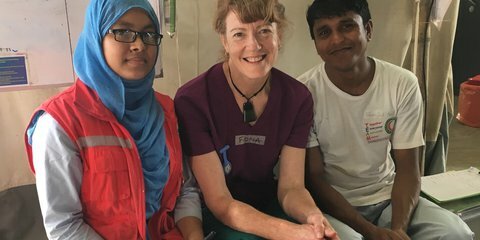 When a gastro outbreak swept through Havelock North in August 2016, Red Cross was there to help. Here's how our team supported Havelock North. In February 2016, Tropical Cyclone Winston hit Fiji, wiping out entire villages and destroying homes, schools and livelihoods. Here's how Red Cross has been helping. Tropical Cyclone Pam tore through Vanuatu in March 2015, destroying homes and causing extensive damage to the environment. Here's an update on our activities in the region. 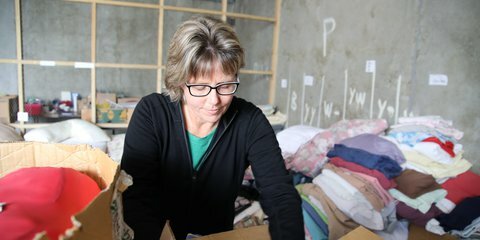 Red Cross has worked to help communities in Nepal recover from the earthquakes in April 2015. Here's an update on our activities so far. We're celebrating 100 years of caring in New Zealand. Order Margaret Tennant's book celebrating our history. Order "Across the Street, Across the World"
The red cross emblem is an international symbol protected by law and is part of the Geneva Conventions. In New Zealand, the Minister of Defence must give authority for its use. 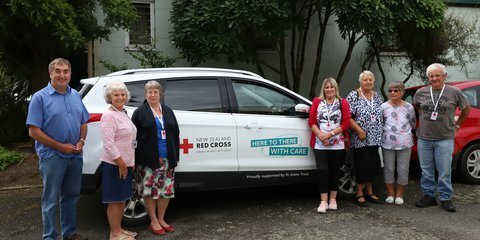 Apart from the New Zealand Defence Force, only New Zealand Red Cross has permission to use it in New Zealand. Our Brand Standards provide more information around this, how the emblem is to be used as part of our logo, how the logo must be represented, our fonts and colours, examples and guidelines on our visual representation for vehicles, buildings, uniforms and promotional material.